· To monitor the administration of NIE / Regional colleges of Education. · To organize pre-service and in-service education programmes for teachers. · To search talented students for the award of scholarship in science, Technology and social sciences. · To undertake functions assigned by the Ministry of education (Now HRD) for improving school –education. · To promote, organize and foster research in all fields of education. · To conduct special studies, surveys and investigations. It is quite interesting to know how following constituent institutes works. The NIE’s activities are mainly confined to (a) research and development (b) in service training and (c) publishing and dissemination programmes. Important among these programmes are developed and evaluation of curriculum, instructional materials, learning resources and instructional strategies. These programmes cover the entire range or preprimary to higher secondary stage of education and all school subjects including the vocational stream at the higher secondary stage. Its other programmes include examination reform and test development, nutrition and health education, education of scheduled caste and scheduled tribe students, girls, education, population education, value education and physical education. The NIE also develops prototypes of science kits which are in fact mini-laboratories for schools. Other important areas of its works are the non-formal education for out-school children, early childhood education, education of the disabled and programmes for the educationally backward minorities. The NIE has computer facilities for storage and retrieval of data. It periodically conducts educational surveys which throw light on the educational facilities and needs. The NIE has also a library and documentation unit specializing in education. The special reference library for the use of researches I then filed of applied psychology called the National Library of Educational and Physiological Test’s is also located in the NIE. Considering the importance of improving the quality of teacher education in India, the government had established the National Council for teacher Education (NCTE) and functioning as its academic secretarial is the Department of Teacher Education, Special Education and Extension Service (DTESEES). Tough the NIE primarily confines its activities to in-service training; it nevertheless conducts a regular nine month Diploma Course in Educational and Vocational Guidance. This is basically a pre-service course meant for training a band of counselors for the school system. The CIET is the sixth constituent unit of the NCERT. It was set up in 1984s by merging the Centre for Educational Technology and Department of Teaching Aids. It aims at promoting the use of educational technology, particularly mass media, for improving and spreading education in the country, and for developing an alternate system of education. The CIET develops (a) software in mind the educational needs, (b) trains personnel wording in the field of educational technology, (c) conducts and disseminates information concerning educational media and technology. The CIET is headed by a Joint Director, appointed by the Government of India. It has helped in setting up six States institutes of educational Technology (SIETs), one each in Andhra Pradesh, Bihar, Gujarat, Maharashtra, Orissa and Uttar Pradesh. The SIET and the CIET produce educational television programmes for children in the age group 5-8 and 9-11 years and teachers. These proigrammes are telecast for three hours and forty minutes a day by using the satellite and ground transmission network. The CIET is equipped to take up programmes covering most of the areas of educational technology, viz, distance education, educational television, radio, films and low cost material. We shall discuss a bit detail about CIET separately because of its importance. The Council has four Regional Colleges of Education (RIEs) one each at Ajmer, Bhopal, Bhubaneswar and Mysore. These campus colleges with the Demonstration Multipurpose Schools attached to them. Such schools help the faculty to develop methodologies and test them in the actual classroom situation. Each college has modern laboratories, well-equipped library and residential quarters. The college offered for integrated teacher education courses leading to B.Sc, Ed. Degree. Except RCE Ajmer the other college also offered a similar programme leading to B.A., B.Ed programmes. The Bhubaneswar and Mysore RCEs also offered M.Sc Education programmes. Facilities for doing doctoral work for the pursuing one year B.Ed and M.Ed courses were also available in the RCEs. All the RCEs conduct in-service training programs both for school teachers and teacher educations. Besides teaching and extension work, the colleges also take up research and development programmes. Now they are converted in Regional Institutes of Education. The States play a pivotal role in the area of school education in India. The NCERT works in close co-operation with the state education departments. It has a network of 17 filed Advisers (FAS) offices covering at state and union territories. The council associates the representatives of states with its programmes and with the comities constituted by it. The NCERT has close ties with universities and other organizations that have a stake in the quality of school education. Prominent among them are the Kendriya Vidyalays Sangathan (KVS), the Central Board of Secondary Education (CBSE), the Central Tibetan Schools Administration (CTSA), and the Navodaya Vidyalays Samiti (NVS). (c) Extension and dissemination work –all these lauded to achieve the main objective of improving the quality of education. 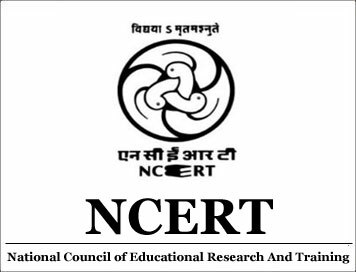 The NCERT, therefore (i) develop curriculum, instructional and exemplar materials, methods of teaching, techniques of evaluation, teaching aids, kits equipments, learning resources etc. (ii) Organize pre-service and in-service training of teachers, teacher educators and other educational personnel; (iii) conducts and promotes educational research; (iv) disseminates improved educational techniques and practices and research findings, and (v) acts as a cleaning house for ideas and information on all matters relating to school education and teacher education. Realizing the importance of textbooks, the government, after independence, increasingly acquired more control over preparation, production and distribution of textbooks in addition to the concern for production of quality textbooks in large quantity, one of the significant argument for adoption of the policy of nationalization was the state produced textbooks would check anti-democratic and would help meeting the challenges of casteism, communalism, regionalism, linguism, religious intolerance, untouchability and some other national and global concerns.